My transport for the Honkopoly has arrived! My transport for the London leg of the Sports Relief honk Really – Honkopoly – has arrived. 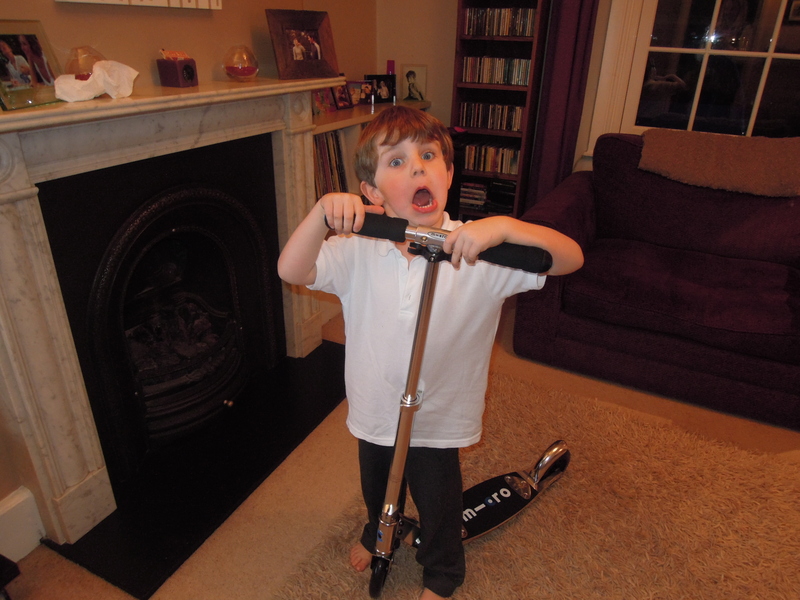 The kind people at Micro-Scooters have sent me an adult scooter to use on our mad 15 mile journey around the Monopoly board of London – THANK YOU! 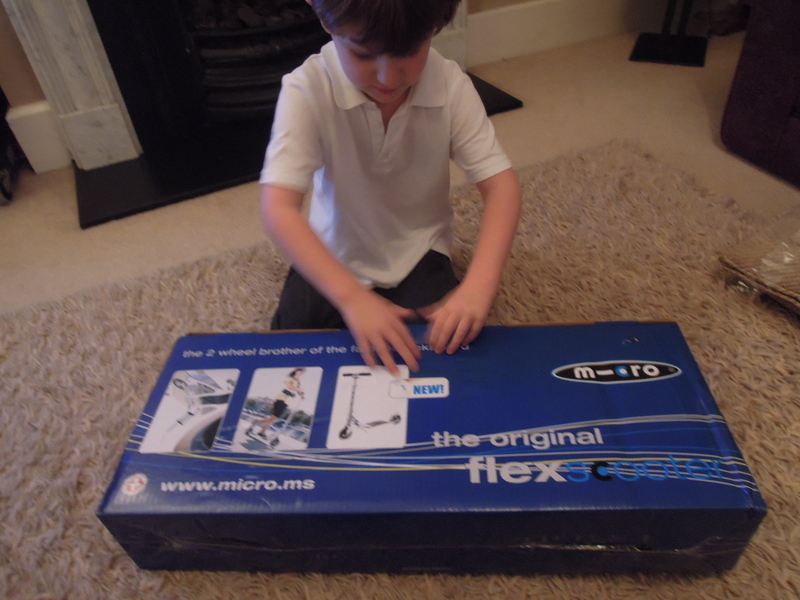 I will be practising with my four year old, who coincidentally has a Micro-Scooter, over the next couple of weeks. He is eager to teach me how to scoot around the park and to and from school! 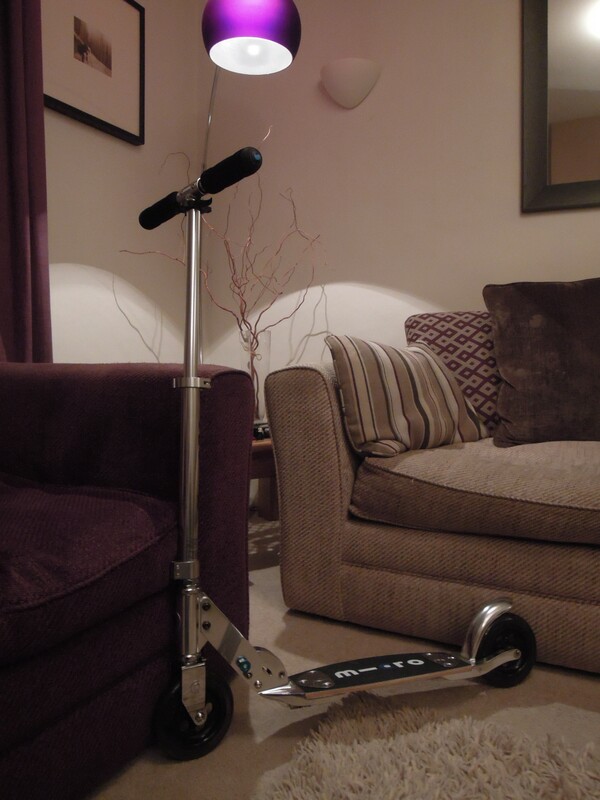 The adult Micro-Scooter will be auctioned for Sport Relief after the event (we might be a tad sad to see it go 😦 ) If you are interested in the auction just keep an eye on this blog and I will post an update on how and when after the 5th February. Mummy it’s taller than mine! In the meantime for more information about what we are doing and how to sponsor us see my Honkopoly blog post.